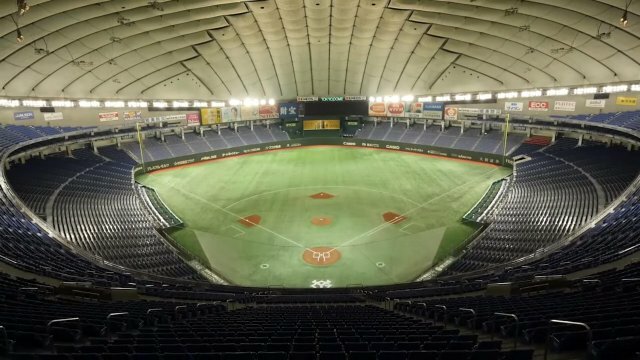 The floodlights installed at the Tokyo Dome boast the same level of brightness as HID light sources, but at the same time saves energy by more than 50%. (*) Moreover, since they last 40,000 hours so 4 times longer than conventional floodlights, they contribute significantly to reducing maintenance costs. The Tokyo Dome stages a wide range of events including baseball games as well as concerts and exhibitions. For a stadium that is highly utilized, LED floodlights that save energy and last a long time offers great benefits. But these floodlights do much more than just save costs. Conventional HID light sources take a long time to warm up, and once turned off, they take equally long to light back up. However, LED floodlights can be turned back on instantly, so for stadiums like the Tokyo Dome that stages many events, this capability offers excellent flexibility. Furthermore, with LEDs, the brightness can be adjusted, allowing organizers to reduce inconsistencies in irradiation. Panasonic's rich know-how and experience in LEDs contributed to this project from the development stage to installation. LEDs have strong directional characteristics, so people may think they might even be too "bright." That is why Panasonic devoted much time and made it a priority to develop lighting fixtures that distribute light properly. Also, during a baseball game, the ball may be hard to see if the area around the ball and the tented ceiling is the same brightness. In order to prevent this from happening, Panasonic installed spatial lighting directed above to light up the ball, making it more visible against the ceiling. "Tokyo Dome is one of the largest and most well known stadiums in Japan, and I'm very excited that our lighting equipment will be used to light up this stadium" said Masayuki Kurimoto, from the Lighting Business Division of Eco Solutions Company, Panasonic Corporation, who managed to bring out the benefits of LED floodlights to the fullest. "We hope that better lighting conditions may help players play even better, which will fuel the audience, making the games even more exciting. We also hope that there will be a great synergy effect between the players and the audience." In the future, more and more LEDs will be adopted by sports facilities. Panasonic hopes to gain experience with many more facilities to help provide better lighting to sports facilities and to contribute to improving the overall lighting environment. *When using HID light sources to obtain the same brightness.